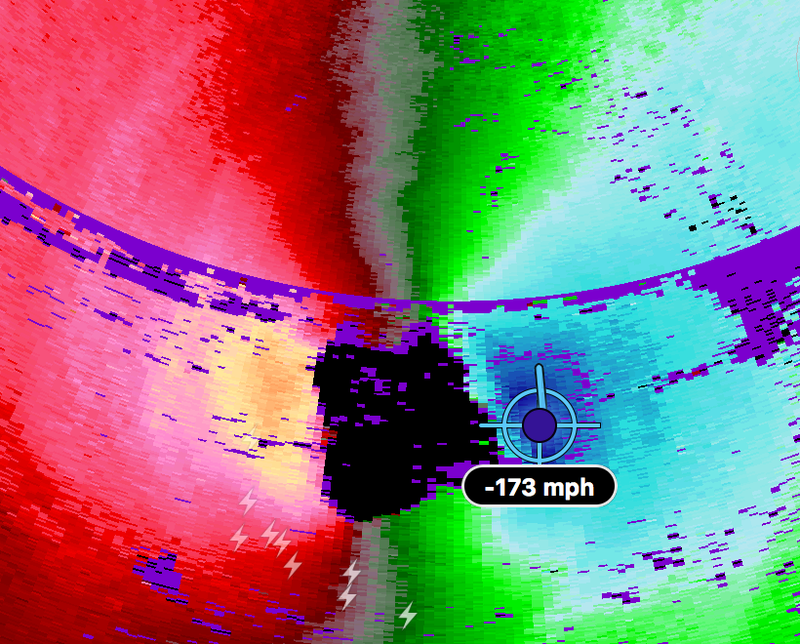 Here is the Doppler wind measurement from 8:50am showing 166 mph. 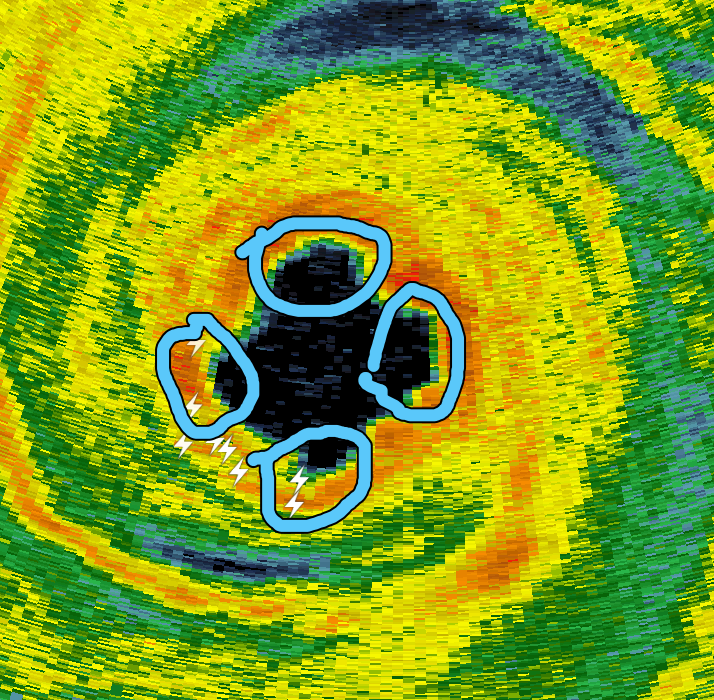 As it turns out, the Hurricane Hunters were measuring the winds aloft at the same time and they came up with the name number (the graph is in knots, so I converted to miles per hour). 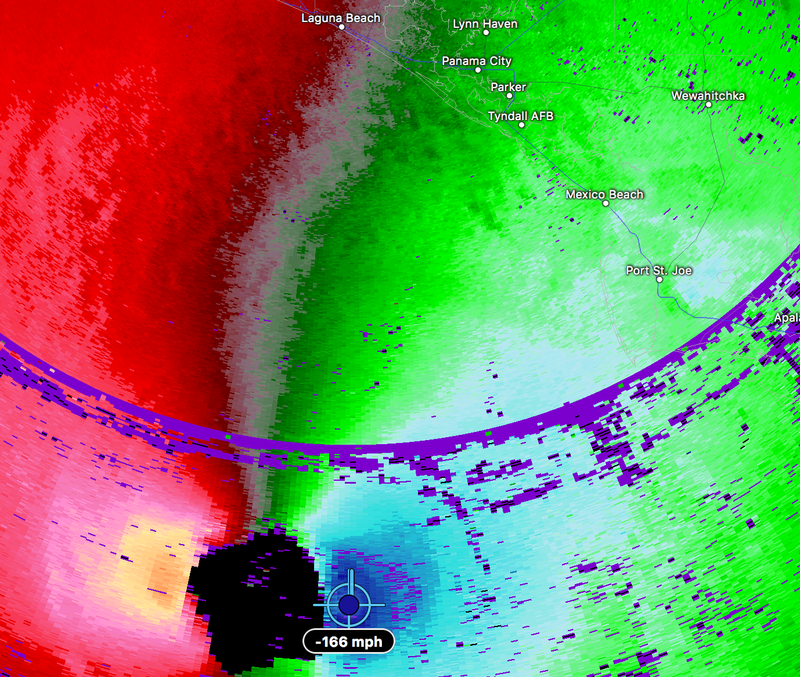 The barometric pressures are dropping rapidly in the eye of the storm. That means these winds could make it to the surface and we could be dealing with a near Category 5 hurricane at landfall. 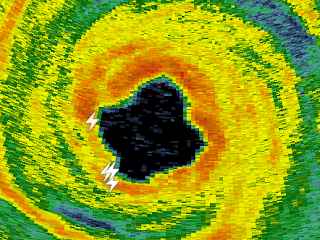 There has never, ever, been anything like this in the Florida Panhandle. Do not rely on your experience with previous hurricanes. Hunker down and prepare the closet or bathroom for a stay of several hours as the eye approaches. Lightning near the eye of a hurricane is a near certain sign of intensification. I believe we are going to see a Cat 5, or nearly Cat 5, hurricane at landfall. 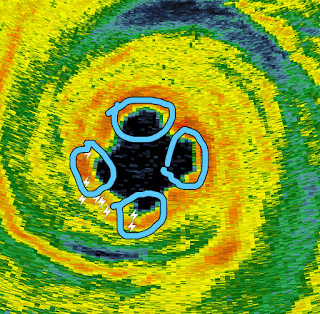 And, the mini-swirls (circles) are areas where winds will be even more intense than the "maximum sustained winds" that meteorologists use to typically define hurricanes. Please review my postings this morning if you are in the area and hunker down. Good luck. Update 9:37pm. 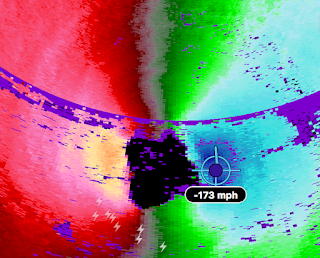 Measurement of 173 mph aloft. But, these measurements keep rising = higher winds at the surface.